I work for CMC at their Bridge St Reception desk. I volunteer with WYCE & Girls Rock Grand Rapids. I enjoy live music, reading, dogs, and crafts. My best friend dragged me to programmer training class and I stayed because I fell in love with sharing my way of listening to music with the community. 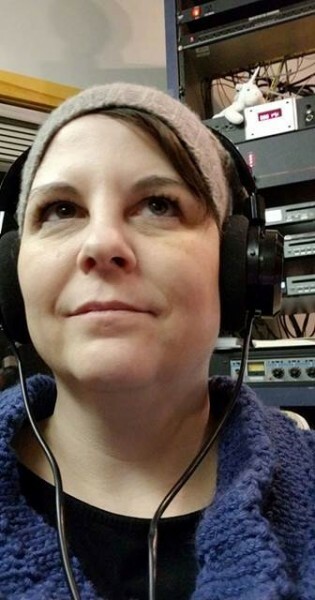 Not only can any music enthusiast come in off the street with no experience and be trained to share their unique love of music with West Michigan by becoming a programmer but any musicians and their family & friends can hear them on the radio. We support local talent, businesses, artists, musicians, and nonprofit organizations doing good in our backyard. I try to be a non-official promoter of the music scene here in GR. I like to attend live shows frequently and want others to do so.